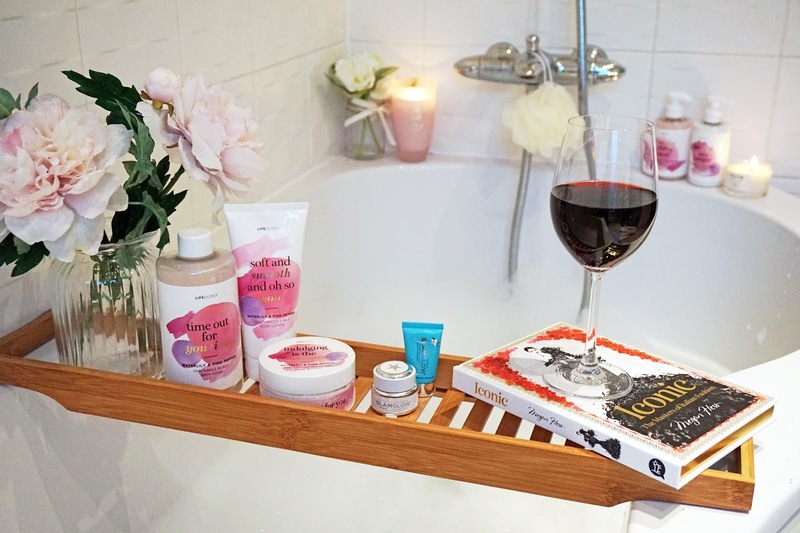 I've said it many times and I will say it again, blogging has given me the opportunity to discover and try products and brands I wouldn't have probably otherwise so every time I am contacted to try out something new I'm very excited and grateful. 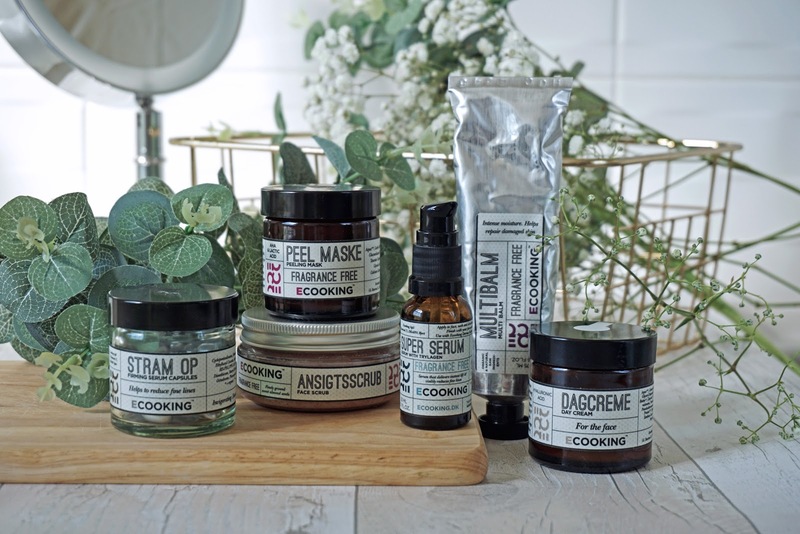 Ecooking is a new to the UK market Danish skincare brand founded by Tina Søgaard who started out by hand-mixing raw ingredients at her kitchen table to create skincare for herself. Soon enough the results were so noticeable that all of her family and friends were desperate to get their hands on her homemade concoctions. 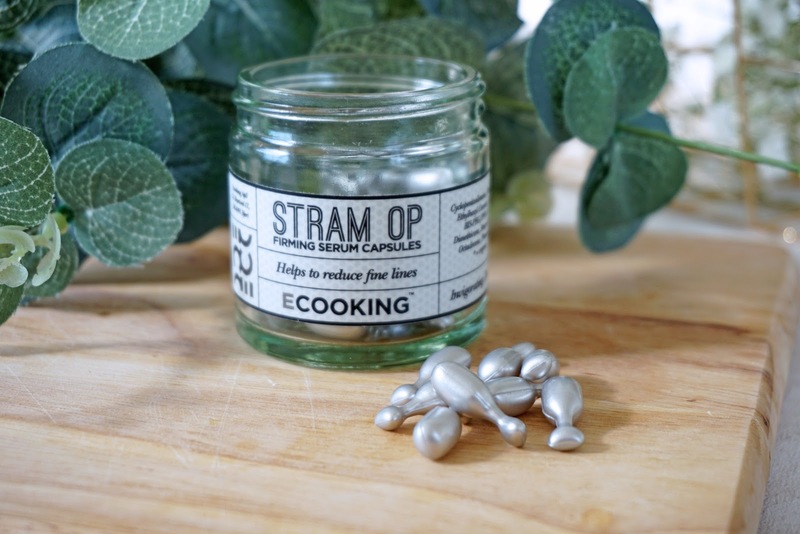 As Tina perfected her formulas, Ecooking was born, combining ‘eco’ ideals (with its natural, environmentally friendly outlook) with ingredients so pure that some can even be used in ‘cooking’. With simple, apothecary style packaging, labels which show exactly what product it is and what ingredients in it, without any gimmicks, the brand is definitely intriguing. 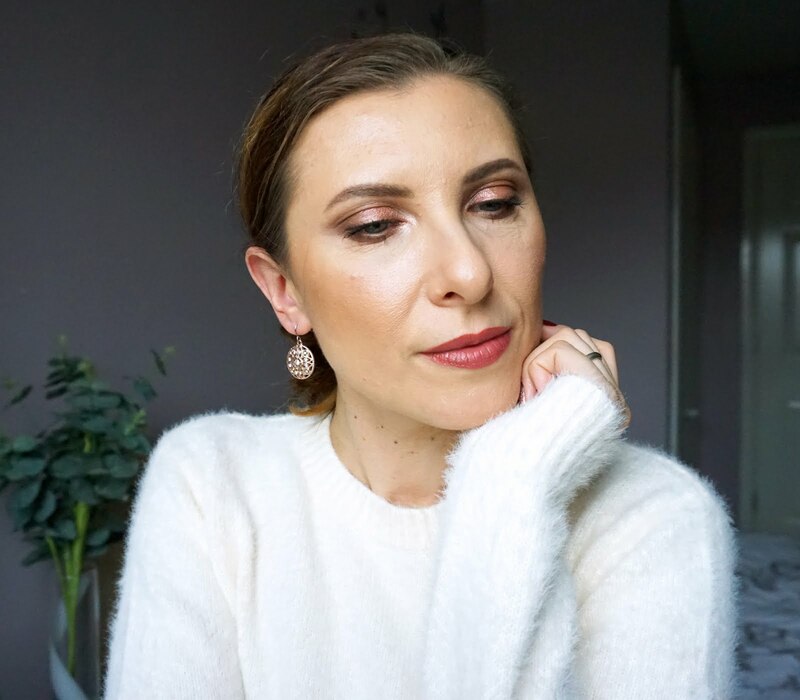 I've had the chance to try out some products from the range and I want to share with you my thoughts on them. Cyclopentasiloxane, Dimethicone Crosspolymer, Ethylhexyl Cocoate, Acetyl Hexapeptide-8, BIS-PEG/PPG-14/14 Dimethicone, Dimethicone, Stearyl Dimethicone, Aqua**, Octadecene, Phenoxyethanol, Parfum**. The product that intrigued me the most, Firming Serum which comes in sealed capsules, each of them contains amount of serum worth one application. This serum contains peptide complex (Hexapeptide) which is said to be a natural alternative to Botox so it's supposed to reduce the depth of wrinkles and fine lines and help to increase firmness of the skin. I don't have many wrinkles yet, only a stubborn one on the forehead with some fine lines, but after using this serum daily for about 30 days I can definitely see my skin looking a little firmer, something that isn't probably noticeable as I didn't have saggy skin to start with but I can detect it. I think people with more mature skin then me should see much better results. The consistency of the serum is very silicon-y but it sinks in to the skin quickly leaving it soft to the touch without leaving any residue. Aqua**, Ethoxydiglycol, Glycerin*, Sodium PCA, Phenoxyethanol, Pseudoalteromonas Ferment Extract, Hydrolyzed Wheat Protein**, Hydrolyzed Soy Protein**, Tripeptide-10 Citrulline, Tripeptide-1, Lecithin**, Xanthan Gum, Carbomer, Triethanolamine, Butylene Glycol, Caprylyl Glycol, Sodium Levulinate, Potassium Sorbate. This serum, which comes in a dark glass bottle with a pump, claims to boost skin hydration and help to lessen the visible signs of skin's aging. There are ingredients which back up the claims like Tripeptide-10 Citrulline, Tripeptide-1, Lecithin which boost collagen production and that results in firmer, younger looking skin. Also interesting ingredient Pseudoalteromonas Ferment Extract, (biotechnologically derived ingredient that is produced by the fermentation of a marine bacteria living in the cold Antarctic Ocean) protects the skin from dryness and redness and it promotes skin regeneration and smoother skin surface by stimulating protein (collagen and elastin) synthesis in the skin. It also helps to balance sebum production so it's very beneficial for those with oily skin type. 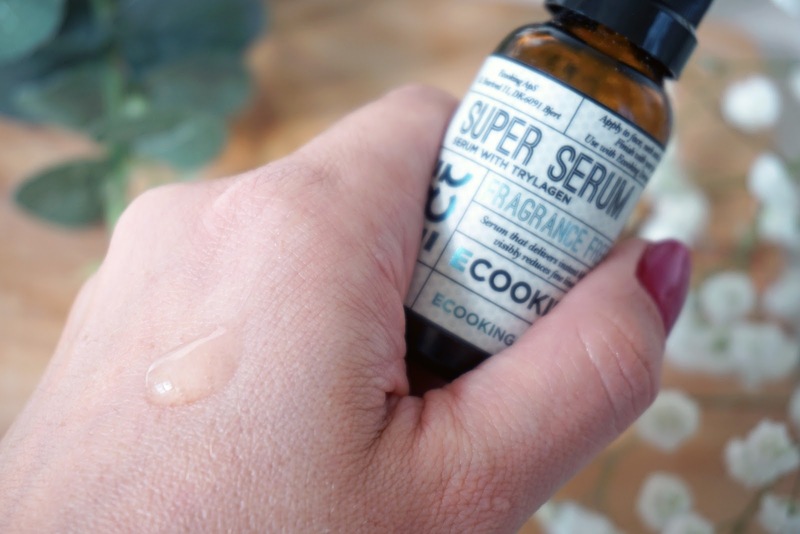 The serum has a liquid consistency and it sinks in the skin in a matter of seconds. I've been loving using it as a part of my morning skincare routine. Moisturising, nourishing, with ingredients helping to boost collagen production, this day cream is the perfect addition to serums from this range. The texture is very lightweight, the cream doesn't feel heavy on the skin and it didn't make my combination skin more oily. Unfortunately for me it contains Shea Butter which my skin doesn't like and after 2 weeks of regular use I had to stop it as my skin got too congested, something that happens whenever I use products containing this ingredient on daily basis. 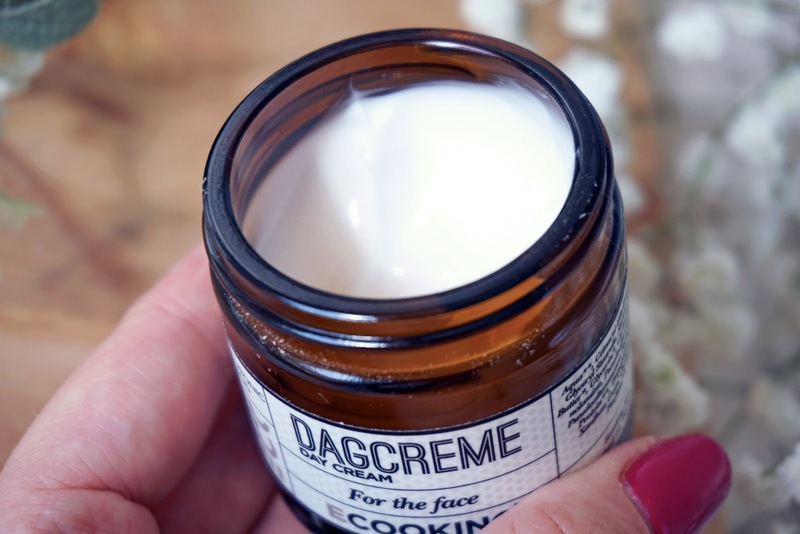 If you don't have a problem with your skin not tolerating Shea Butter then I think you would enjoy this facial cream. This has to be my favourite product from the ones I've tried because it gives instant results! 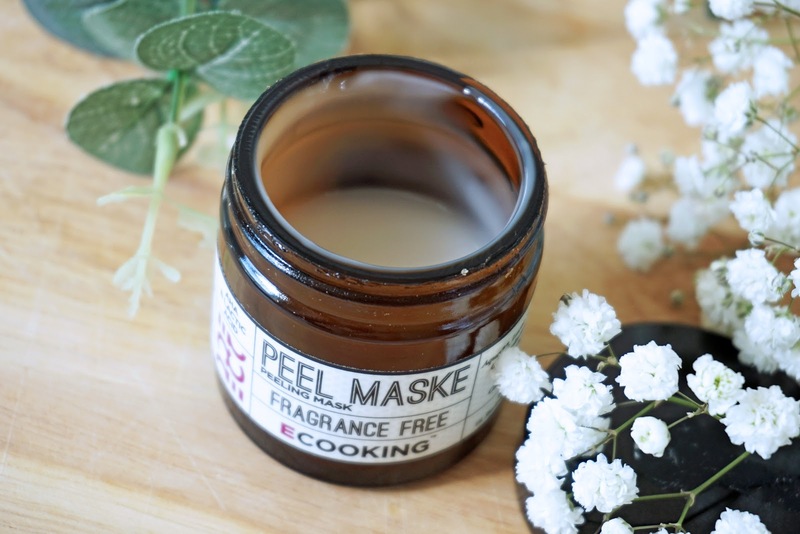 If you've been reader of my blog for a while you know that I am a big fan of chemical peels as they literally transformed my skin once I started using them so I was very excited to try the Ecooking offering. Featuring a concoction of exfoliating alpha hydroxy acids – including lactic, salicylic and glycolic acids – this miracle mask works to remove dead and dulling skin cells, leaving your complexion smooth, youthful and luminous. Even my, well accustomed with acids, skin gets the tingling sensation upon application and is quite red after removing this mask within only 10 minutes (you should start with less time then that) but it doesn't get irritated, just very smooth and super glowing afterwards. I call this mask 'the big guns' LOL! and use it only once a week as I don't want to over-exfoliate my skin. This face mask contains also plant extracts and Vitamin E which decreases the appearance of fine lines and wrinkles over time. I highly recommend trying out this Peeling Mask if you like chemical exfoliation. As I said before I much prefer using chemical exfoliators on my face to avoid the harshness of scrubs but every now and then I feel the need for a gentle mechanical dead skin removal. 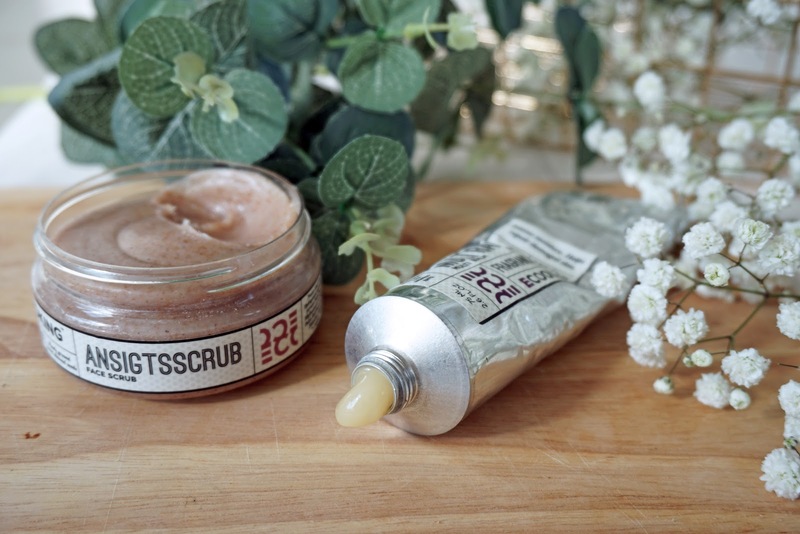 The Ecooking face scrub is full of very nourishing ingredients so while having the actual a bit abrasive particles it still leaves the skin soft and moisturised. I've only used it once on my face for testing purposes, but I prefer to use it on my knees, elbows and hands as it leaves my skin super smooth and hydrated and I don't mind a bit of harshness in those areas. This is very thick, very nourishing and soothing, multi-purpose balm which can be used on dry lips, dry, itchy areas on the body, can treat burns and insects bites so it's something we all should have in out bathroom cabinet. I love using it on my lips at night time, or following my exfoliation with the Face Scrub, on my knees, elbows and hands for a super soft, nourished skin. Ecooking is a cruelty-free brand; they do not test any of their products on animals. All products are natural, organic, paraben-free and vegan. Has anything caught your attention?